Scores of pro-Palestinian activists protested outside the Israeli Embassy’s Trade Office in Johannesburg on Friday to condemn Israel’s practice of detaining Palestinian people without trial. 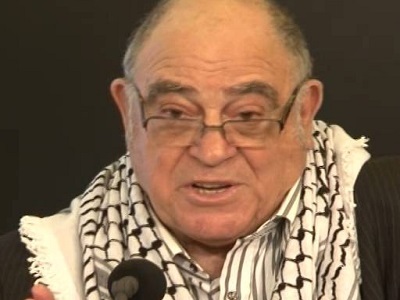 Ronnie Kasrils, a former South African intelligence minister and an anti-apartheid activist, called for the immediate release of all Palestinian political prisoners. He further urged the South African government to end all diplomatic and trade ties with Israel until Palestinians were allowed to be free. “It’s time to close down the Israel embassy and its trade office until Palestinian people are free,” Kasrils said amidst cheers from a group of activists waving placards condemning Israel’s rights abuses. The protest organized by the Palestine Solidarity Campaign was also endorsed by a number of ex-political prisoners from the former South African liberation movements. Ahmed Kathrada, a former prison cellmate of Nelson Mandela, said in a statement read out during the protest on his behalf that he supports the call for the immediate release of all Palestinian prisoners jailed by Israel. 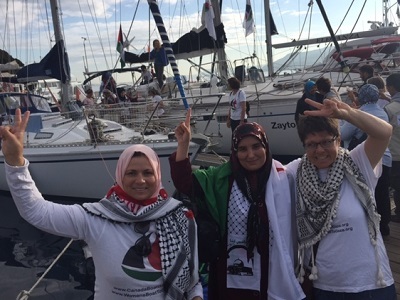 The campaign said their protest was aimed at drawing attention to the alarming number of Palestinian children that were being detained under increasingly inhuman conditions by Israel. “More than 700 Palestinian children are prosecuted each year by military courts in the Israeli-occupied Palestinian territories,” the Palestine Solidarity Campaign said in a statement. The group also condemned Israel’s alleged use of administrative detentions under which political prisoners get detained without trial and frequently re-detained on the date of their release after completing their sentences. “This is a flagrant violation of international human rights law and reminds us of the very same practices used by South Africa’s former apartheid state.” the group added.